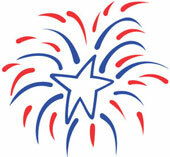 The library will be closed Saturday, July 2nd in celebration of the July 4th holiday on Monday. We wish all of our patrons a very happy and safe holiday! See you Tuesday!